The best practice of sharing property disclosures upfront (before offers) is being adopted by Top Agents across the country. Property Disclosures include everything from pre-sale inspections to Seller Disclosures and Natural Hazards reports. By providing this pre-sale information to interested parties, before offers are submitted, deals are less likely to fall though and the Seller is more likely to obtain their target list price. Assemble all of the disclosures in one online location, share them with interested parties and track the activity. When hosting an Open House for Brokers or Buyers, it’s critical to collect contact info from the interested parties and follow-up. 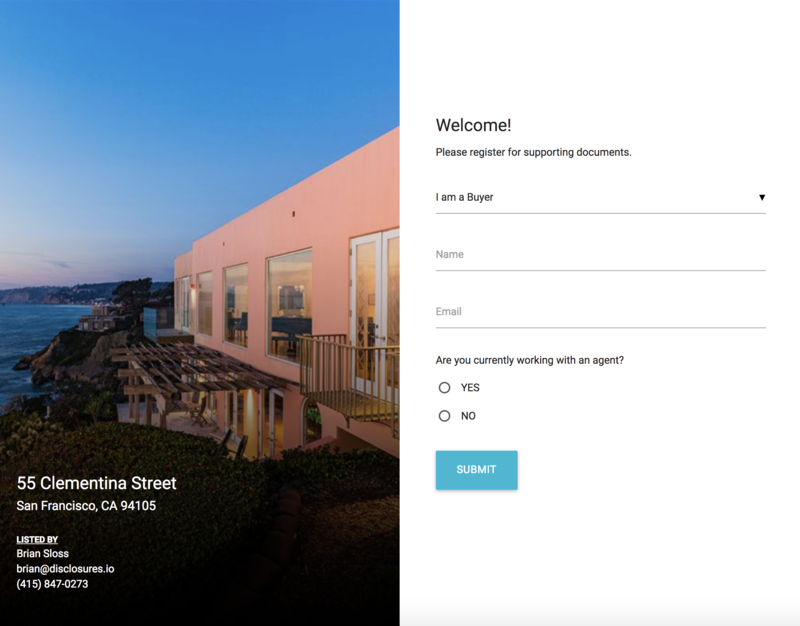 With iPad or tablet, you can seamlessly register guests as they come to your open house and send follow-up emails right after. With just a few clicks, you’ll have a property package created and ready to display at your open house. By adding valuable information like the property brochure and floor plans to the property package, you can incentivise people to register. 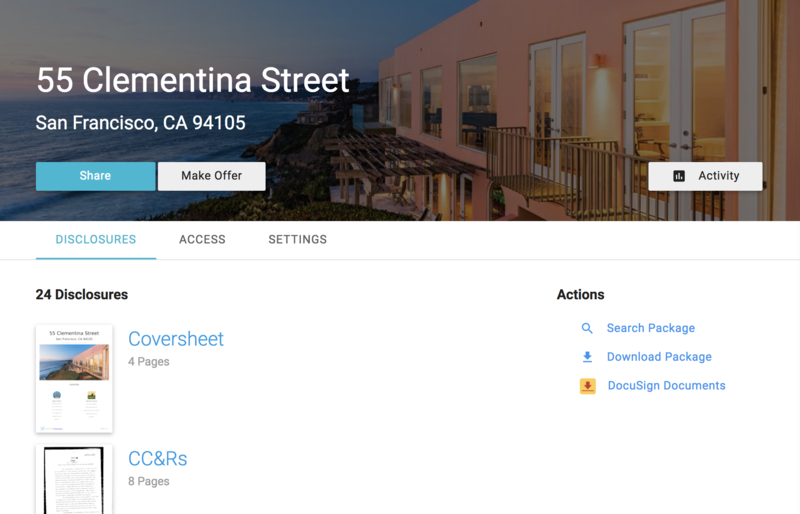 Seamlessly register guests as they come through your open house. We’ll categorize them as Brokers or Buyers and prioritize the leads for you to follow up with. Know who’s actually interested in the listing before you receive offers. 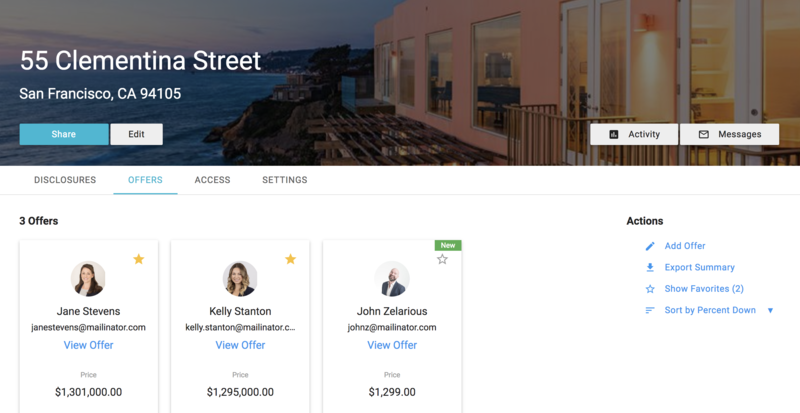 Once you’ve invited all of the interested parties to your property package on Disclosures.io, they can review the materials (disclosures, floorplans, flyer, etc.) about the listing and submit their offer directly to you. Craft your offer, add your documents and submit directly to the Listing Team. You'll be notified as soon as it's viewed. Easily compare the terms of each offer side-by-side. Share the offers with your sellers.